When a friend suggested I make tomato pie, I cringed. Who eats tomatoes in their pie? Well, um, I DO! Now. It just took making one to have me fall in love. 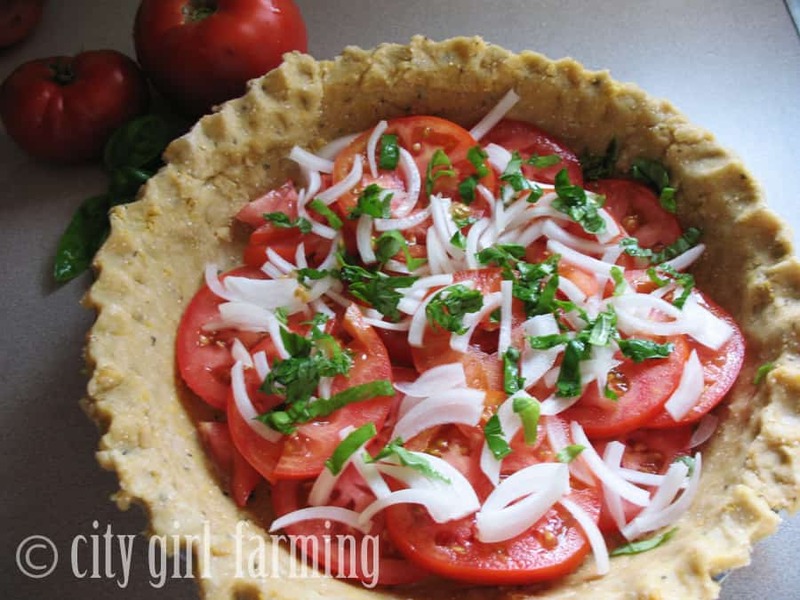 This wonderful (EASY) recipe is heavenly if you’re using fresh from the garden tomatoes! Here’s the recipe (below) my friend gave me, from Taste of Home. I made a bunch of revisions to mine, so I’ll explain them after the original recipe. 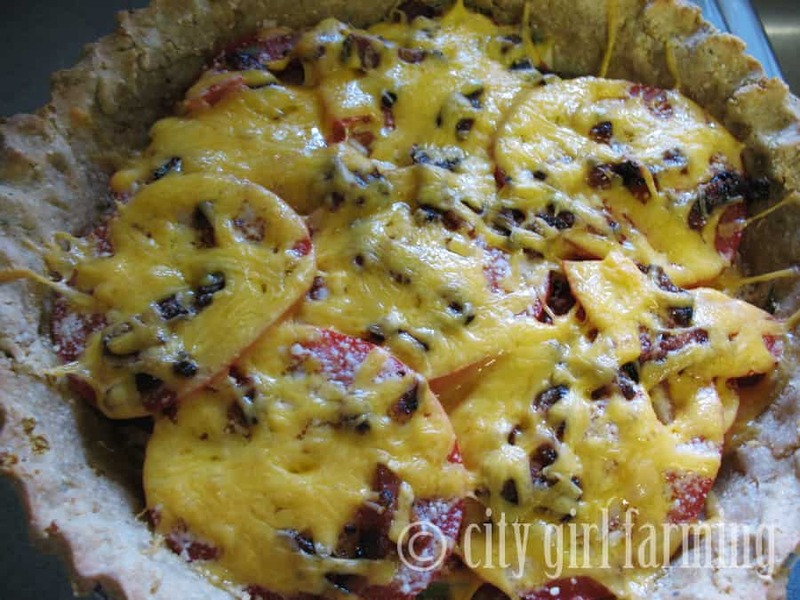 Place half of the tomatoes in pastry shell. Top with onions and remaining tomatoes. Sprinkle with basil, salt and pepper. Combine mayonnaise and chedder cheese; spread over tomaotes, leaving 1-1/2 inch around the edge. Sprinke with bacon and parmesan cheese. Bake at 350 for 30-35 minuets or until tomatoes are tender. First, I didn’t have plum tomatoes, so I used regular, fat, juicy just picked homegrown tomatoes. I also didn’t have green onions, so I used sweet onions instead. The thought of adding mayonnaise to those lovely tomatoes just seemed wrong to me, so I skipped that ingredient. Because I didn’t add that layer of fat, I tucked the basil down in the middle of the tomato layers, along with the onions, so it wouldn’t dry out. Puree the beans. Mix all the dry ingredients together, add the beans and add water slowly. Knead a few times on a floured surface. If you’re careful, this recipe will actually make 2 crusts. 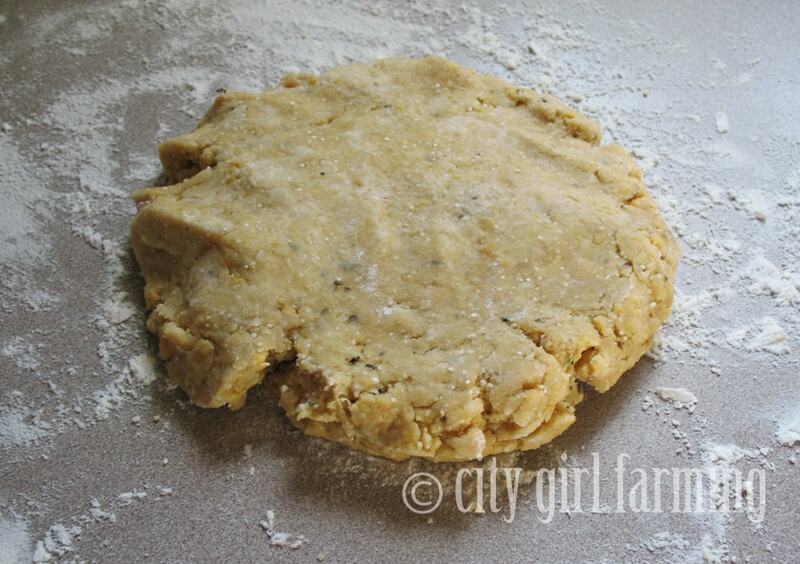 If you don’t want to roll it that thin, it works for one, but it makes it a bit thicker than normal pie crusts. If you try it, let me know what you think. I’m definately gonna make it again before the fresh tomatoes run dry. It’s a keeper! Get Your Free eBook Here!